Nordic Travel in Sweden AB is responsible for onlinereservations on this page. Here you will find information that may be useful for your trip. If you do not find the answer to your question here, you can send an e-mail to golf@nordictravel.se or call +46 (0)411-558725. In his capacity as a package holiday organiser according to the Swedish Package Tours Act (Lag om Paketresor), the editor of this website is responsible for the arrangements as described and for the travel documents issued in the name of the organiser. A booking is binding as soon as it has been confirmed verbally or in writing. You must pay the published price of the package, with the addition or deduction of any changes to taxes or transport costs that have occurred after the printing of the programme. The date and recipient of payment are indicated under "Special Terms and Conditions of Travel" (refer to the Terms of payment and travel!). What will happen if I do not pay on time? You risk your entire trip being cancelled and may be charged cancellation fees. How do I find my way to the accommodation venue? Directions for getting to the hotel are printed on your hotel voucher. The normal check-in time is 3pm, but it is usually possible to check-in earlier depending on the availability of the room. The same applies to checking-out, which is usually 11am or 12 noon. 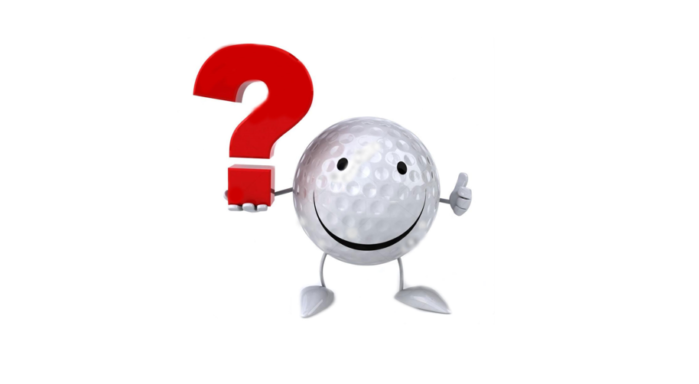 Do I have guaranteed tee-off times on the golf courses? Yes. The bookable times have been provided by the respective golf club/course and the club guarantees the time booked. What handicap applies to playing on the courses? The handicap limit is specified in the information describing the respective courses. The HCP limit is checked before each tee-off. If permission to play golf is withdrawn due to an incorrectly stated HCP, the green fee will not be refunded. How do I find my way to the golf courses? Directions for getting to the respective golf courses are printed on your golf voucher. Can I book more tee-off times on-site? Yes, that is absolutely fine. Go to the Reception and they will help you as long as there are times available. After completing a booking, you will receive a booking number and an order confirmation by e-mail. Once the payment has been correctly made, confirmation of this as well as vouchers for hotel, golf and any additional arrangements will be sent to you. That which is included in the respective package is described under the relevant link. You can cancel a booking verbally or in writing by contacting the person with whom you made the booking. If other cancellation options are available, this will be indicated under "Special Terms and Conditions of Travel". The fees stipulated in "Special Terms and Conditions of Travel" apply in the event of cancellation. Please note that changing the day of arrival or departure is regarded as a cancellation. What should I do if I simply wish to change part of my booking? If it is possible to change parts of the package holiday, this will be indicated under "Special Terms and Conditions of Travel". You are entitled to transfer the package holiday to someone who fulfils the stipulated terms, if relevant, that are conditional for participating in the package holiday, providing that you notify the booking office of this no later than the date stipulated under "Special Terms and Conditions of Travel". a) death or serious illness or accident that befalls you or your spouse, co-habitant, parents or the parents of your spouse/co-habitant, child, siblings or co-travellers. b) conscription into the armed forces or the civil defence. c) any other serious incident that is beyond your control, which you could not have foreseen at the time you made your booking and that would make it unreasonable to demand that you must abide by your booking, e.g. extensive fire or flooding of your residence. You must be able to verify the cause of being unable to make the trip by submitting a certificate issued by a doctor, official or insurance company. In the event of illness or accident, the organiser’s certificate of illness form must be used. The certificate must be sent to the organiser as soon as possible, but no later than 14 days after the date of cancellation. The fee for the cancellation protection cover will not be refunded. If all or part of your package holiday cannot be delivered as stipulated in the travel documents or if no replacement arrangements can be organised, whose differences in comparison to what you have booked are insignificant to you (such as a hotel of the same class and similar location), you have the right to cancel. You will receive a refund for everything you have paid, less the value of any parts of the package you have been able to use already. If an error occurs after departure, please try to have this corrected on site (at the hotel, for instance). If you wish to file a complaint afterwards, you must first contact the booking office. A claim for a price reduction or compensation must be submitted as soon as possible and no later than 2 months after returning home, unless there is a particular reason for dealing with the matter at a later date. If we do not reach an agreement, you may submit the matter to the Swedish National Board for Consumer Complaints (Allmänna Reklamationsnämnden). The Board is made up of an impartial chairperson and representatives of travel organisers and consumers. The Board’s address is Box 174, 101 23 Stockholm, Sweden.